I've only bought a few CAC stickers and honestly there was no intent behind it: the coins I liked just happened to have the stickers. Actually, I had been out of this hobby so long that I almost peeled off the first one because I didn't know what it was! It was just a silly green sticker someone had slapped on to my slab - why would I want that? A little on-line research cleared that up enough to avoid that mistake, but I really didn't appreciate CAC until I had bought a few more of them. It was only then that I realized there really is value to these stickers. 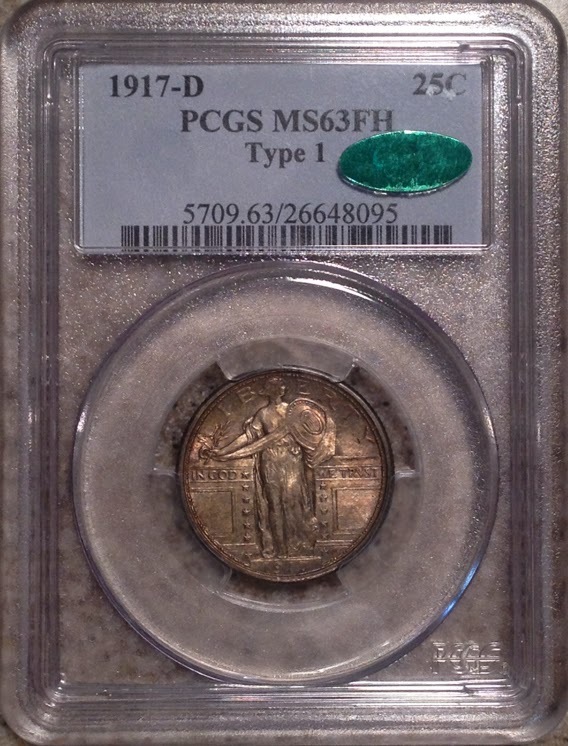 Take a slab that says PCGS MS66, for example. When you think about it, it could barely be MS66 or a solid MS66 or even almost a MS67. Yes, those are very fine distinctions, but if you laid out a line of PCGS MS66's of the same year/denomination, you'd see that some are better than others. That's what CAC stickers are about. PCGS doesn't grade MS66.2, MS66.5 and MS66.8, but CAC does make those fine distinctions: a green CAC means a solid MS66 and a gold CAC means a strong MS66, almost MS67. Prices for CAC stickered slabs reflect that. A green sticker might advance the price 5% or more and a gold might push the price close to the price for the next grade up. 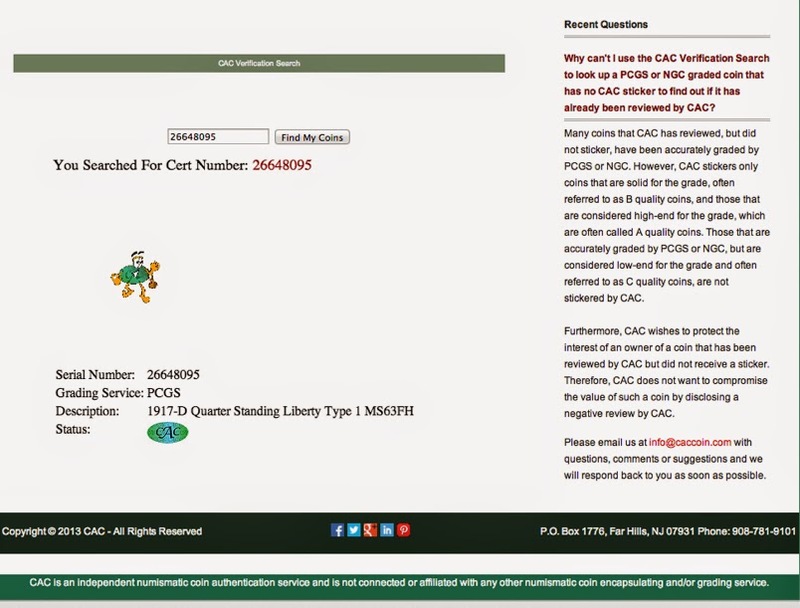 Now that I have a better appreciation for the value of CAC, I'll be paying more attention to it and will be looking for those stickers when searching for coins. 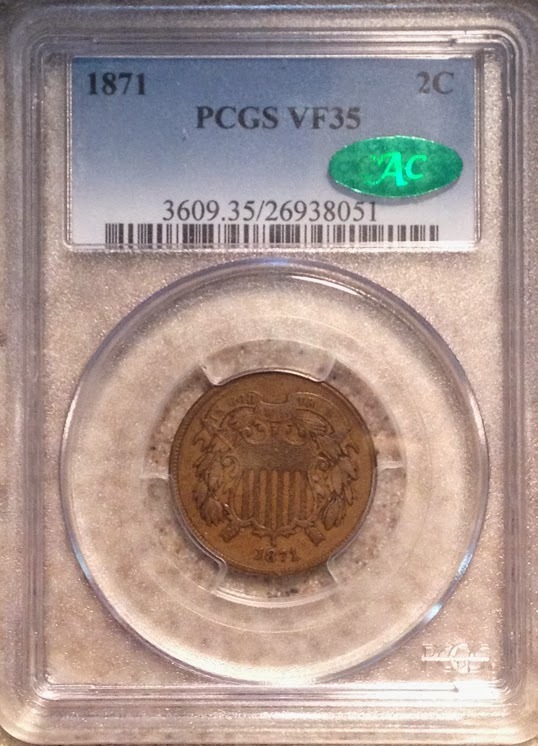 Very interesting post about CAC from a collector/dealer point of view here. I have a few graded coins with those stickers on them and thought the same thing, who and why is this on there. Thanks for clearing that up. I took one off a long time ago and now I cannot remember which one. Thanks!! !